Many attractions may claim to be unique, but the Eden Project in Cornwall – with its awe-inspiring Tropical and Mediterranean biomes – really is. The ongoing challenge for our digital designers is to ensure that Eden’s online ads truly reflect the wonder of this stunning location. These days, there’s more to design than coming up with nifty ideas and putting them across in a way that gets clients excited. Any digital designer worth their salt also now needs to be technically proficient and committed to staying up-to-date with all the latest developments in online software. 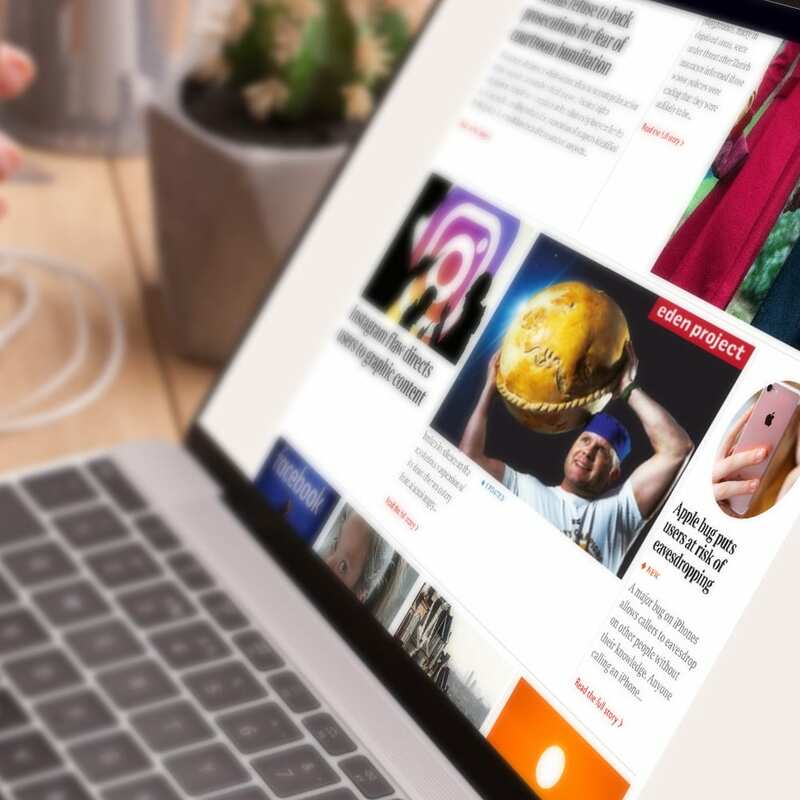 Fortunately, our team is always one step ahead and has become highly proficient in creating ads using the flexible and dynamic HTML5 programming language – and this has worked wonders for Eden. 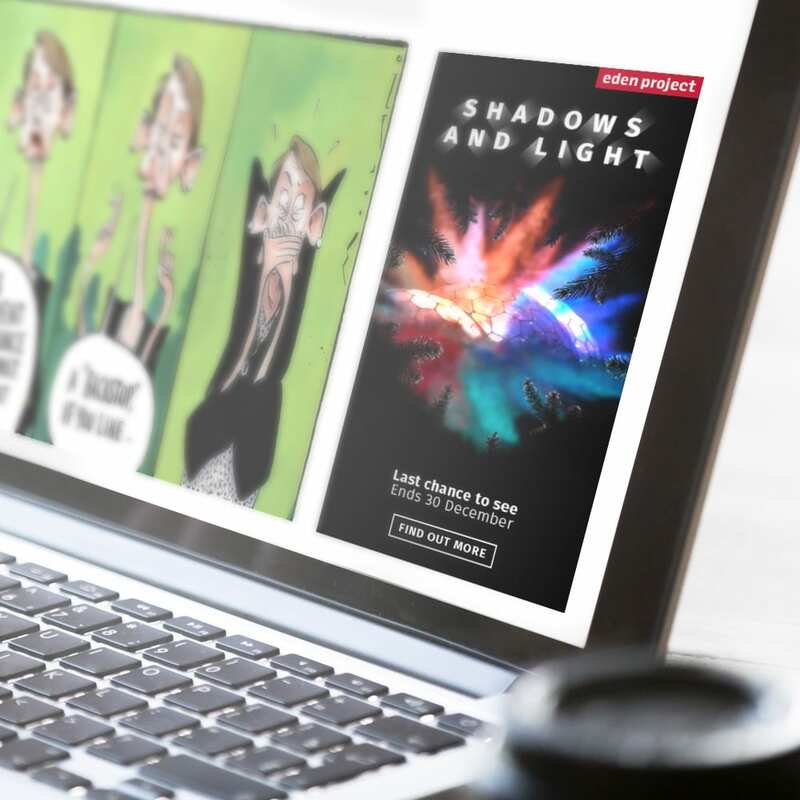 With HTML5 at our disposal, we have been able to produce loads of Eden ads for multiple campaigns that are not only quick to load and look great but which can be deployed in a variety of exciting, attention-grabbing formats. 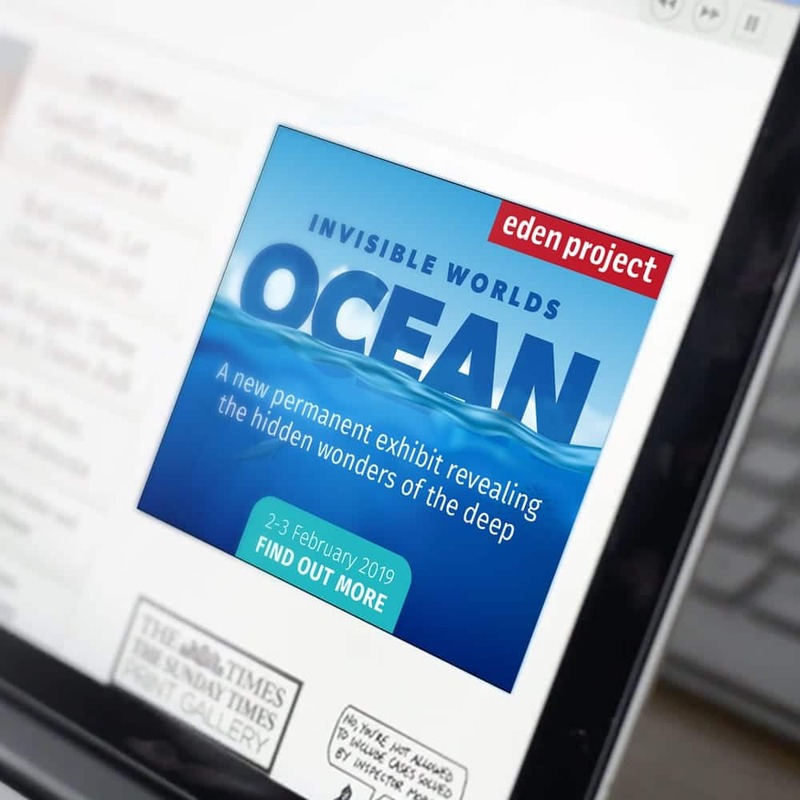 Our campaigns run mainly (but not exclusively) on the Google Display Network, and have included some amazing animated and video ads, all of which help to present Eden as the distinctive and incredibly special place it is.